Laparoscopic surgery warrants a steep learning curve. 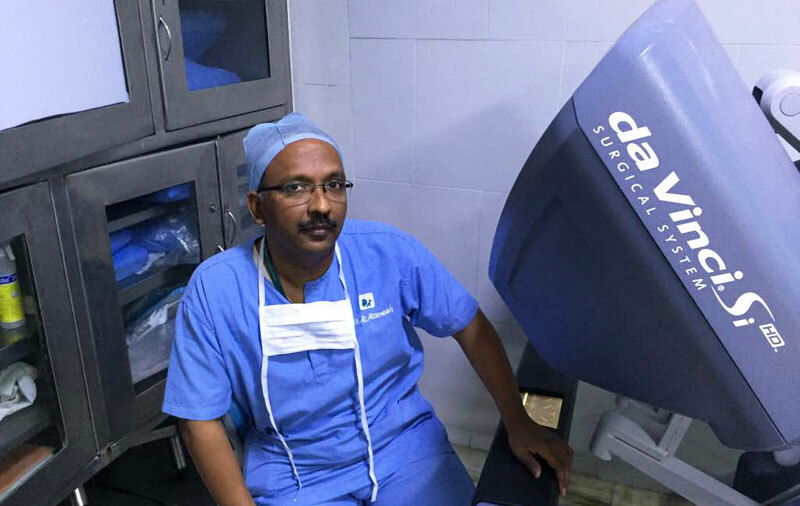 Robotic surgical system has overcome this and has emerged as gold standard in delicate and complex urological procedures. Robotic surgical system uses a 3D camera, which provides 10 times magnified vision to the surgeon. Also, the 360-degree range of movement of the robotic arm enables precision repair of tissues. It thus allows complex reconstructive procedure to be done with keyhole incision, thereby reducing blood loss. A small incision is less painful and allows the patient to mobilize early even after major surgery and return to normal activity soon.